Last Wednesday, November 8, Secretary of the Interior Ryan Zinke announced the establishment of the International Wildlife Conservation Council (IWCC). Whereas the African Wildlife Foundation (AWF) would typically applaud such an effort by the U.S. government, the mandate and proposed membership of the IWCC shows that this council will be focused on promoting the hunting industry, not conservation. In establishing the IWCC, Secretary Zinke is placing sole emphasis on hunting wildlife, which could have serious implications on wildlife conservation in Africa. Secretary Zinke has mandated that the IWCC: (i) develop a plan for public engagement and education on the benefits of international hunting; (ii) provide recommendations that seek to resume the legal trade of [banned] items; (iii) recommend streamlining/expediting the process of import permits; and (iv) review the Endangered Species Act’s foreign listed species. In addition to a skewed mandate, the constituencies from which IWCC members will be drawn is unbalanced and will bias the advice provided to Secretary Zinke. For example, AWF has been informed that the firearms and ammunitions manufacturing industry is being specifically included as a constituent in the IWCC. We strongly recommend that anyone with a commercial interest in loosening restrictions on hunting wildlife be excluded from the IWCC. AWF is concerned that the mission of the IWCC is simply to remove barriers for all international big-game trophy hunting by U.S. citizens. While hunting can be an acceptable conservation strategy when well-managed and guided by sound science, promoting hunting with no checks and balances provides conduits for infiltration by poaching and illegal wildlife trafficking, which is a serious and growing global crisis. The world cannot afford for the U.S. to step away from its leadership role in combating wildlife trafficking at this critical time, or weakening provisions of the Endangered Species Act that offers protections for endangered species affected by hunting and illegal wildlife trafficking. We urge the Department of Interior and Secretary Zinke to heed the considerable expertise of the conservation community working in Africa to evaluate individual countries’ practices prior to allowing hunting permits. 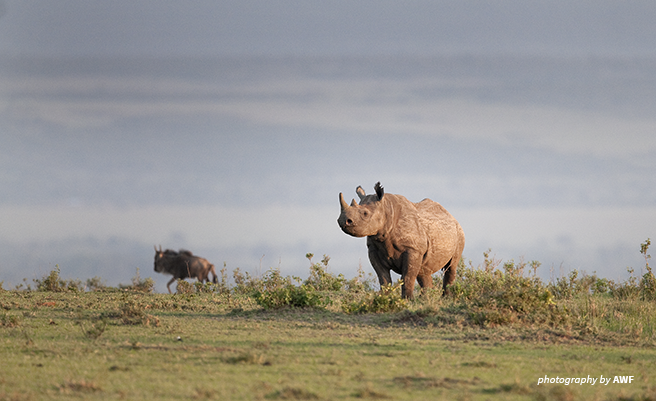 As the leading international conservation organization focused on Africa, AWF has had a prominent voice in conservation debate for nearly 60 years. Our organization was honored to serve on the Advisory Council on Wildlife Trafficking established by President Obama. While we will be pleased to offer our continued advice to the U.S. Department of Interior, AWF will not participate in the IWCC until the necessary changes are made to ensure that it contributes to effective conservation of wildlife in Africa and around the world. We urge all other conservation organizations to follow our lead.